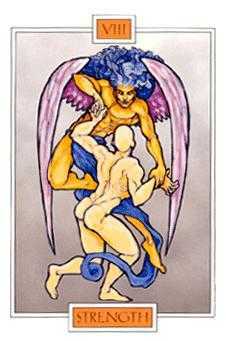 What has traditionally been known as the Strength card represents Nature which, however wild in its primal form, is tamed by our subtler, finer (feminine, interior) self. The will and passion of our instinctive nature does not need to be broken, but refined and brought to consciousness — so that all levels of Creation, inner and outer, may come into harmony. Posted on February 18, 2014 by ladyoftheabyssPosted in Articles, Daily Posts, TarotTagged Book, Energy, instinctive nature, Queen of Coins, Religion and Spirituality, Shopping, Tarot, Two of Swords, United States. Raidho may mark the coming of a physical or spiritual journey. Whichever the case, changes in your life are soon to come. Spiritual or material goals may be attained. Posted on February 12, 2014 by ladyoftheabyssPosted in Articles, Daily Posts, RunesTagged Book, Elder Futhark, Fehu, Kenaz, Naudiz, Religion and Spirituality, rune, Shopping, spiritual journey. Various techniques have been presented on working with the chakras, both optimising normal chakras to allow more ch’i energy through, and helping or balancing chakras that are not functioning properly (i.e. which may be unbalanced, blocked, or malfunctioning). I would like to state at the outset that I am no expert, so please do not email me for technical advice! But from what I have read and understood it seems there are several possible techniques. Activating the chakra through breathing, visualisation, movement, and yoga postures. This is good for all chakras, and for balancing the organism as a whole. It particularily pertains to the Tantri, seven-chakra linear scheme, rather than the Taoist circular scheme of chakras. There are many specific exercises associated with each chakra, and usually different books give different exercises, so it would take too long to go through all the books, chakras, and exercises here. All I can do is recommend that you browse through the books on this subject in a well-stocked esoteric or theosophical bookshop, find one that you feel intuitively attracted to, and go with that. Projecting love and light into the chakra. This is also good for malfunctioning and blocked chakras, but not overactive ones, which already have enough energy going through them as it is. Imagine the area of the affected chakra as pervaded by a brilliant white, golden, or other coloured light, which is of the complete essence of love. Imagine this light healing the chakra, opening it, and restoring it to its proper functioning. If for example you have difficulty with understanding abstract mental concepts, you would visualise light and love in brow and forehead chakras, allowing them to open harmoniously, and the energy to flow through. Talking to or meditating on the particular chakra in question. This is the technique recommended by Genevieve Lewis Paulson. Focus on the chakra in question, massage the area of the body it pertains to, and breath into it. Let the energy flow through it, and ask yourself what needs to be done about the particular psychic state in question. If for example you have an overactive heart chakra, ask yourself in what situations are you being too giving and putting the needs of others before your own. Awaken Healing Energy of the Tao. For opening the specifically Tantric (“primary” or archetypal) chakras, Harish Johari some time back released a cassette tape giving the correct mantric sounds for each chakra and petal. This is still available and is very powerful. In meditating on each chakra, you may want to use some of the correspondences listed in these web pages. Alternatively, you may want to choose your own correspondences, or not use any at all. The important thing is to let oneself be guided by what intuitively feels right, rather than slavishly follow what some book or guru or teaching says. This so in all aspects of life and with all psycho-spiritual practices, not just those techniques given here. The intention of this coverage is to encourage and stimulate your own exploration in these matters, not to add one more dogma to a world that is already too full of dogmas as it is. Posted on February 12, 2014 by ladyoftheabyssPosted in Articles, Chakras, Daily PostsTagged Anahata, Book, breathing exercises, breathing techniques, ch'i energy, Chakra, Chakra Balancing, Health, Mantak Chia, Meditation, New Age, techniques. Any spiritual practice requires research and study. Witchcraft is no different than any other path. Here is some basic info, words of caution, and suggestions for reading and starting your research. How Can I Learn More? If you are one of the many people looking for information on how to become a witch, there are a few things you should ask yourself first. 1. What is your reason for wanting to be a Witch? If your reason is simply so you can cast a spell, it’s the wrong reason and you might find more information if you look for Spellcraft, than Witchcraft. If your reasons are truly from an interest in the faith or you feel drawn to the Craft as a religion, then you maybe on the right path. But you should learn more and make an informed decision. 2. Are you willing to live by the spiritual laws as a way of life? If you are, or if you’re not sure, do a lot of research on your own and find out as much as you can about the path you’ve chosen. Don’t take one persons word or teachings as the only truth or as the only way on this or any spiritual path. No one person has all the answers for you. Only you know what rings true within your own heart and soul. When it comes time for you to chose a mentor, be very cautious. There are a lot of novice people claiming to be a High Priest or Priestess. The best advice I could give is find someone who can prove they have practiced the path for several years (my standard is 10 years or more). Don’t just take their word for it. Find someone who is willing to answer your questions without charging you money. What you should really be looking for is a mentor or guide, not a person who thinks they have the right to tell you what to do or believe. Question everything you are told and everything you read. Research other material to validate what you are being told or what you read in a book. Make sure that a book is supported by other books and by history itself. Posted on February 11, 2014 by ladyoftheabyssPosted in Articles, Daily Posts, Wicca, WitchcraftTagged Book, Craft, Education, High priest, Reading, Religion and Spirituality, Spiritual Education Path, spiritual path, Spiritual practice, Spirituality, Witchcraft. 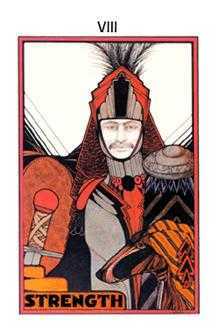 Posted on January 29, 2014 by ladyoftheabyssPosted in Articles, Daily Posts, TarotTagged Alejandro Jodorowsky, Book, Fool, Fortune-telling, instinctive nature, Philosophy, Queen of Swords, Religion and Spirituality, Tarot. If you practice magick mainly alone, your Book of Shadows will be among your most valued tools. There are Books of Shadows of all kinds, from dark leatherbound volumes with pentagrams engraved in gold leaf on the front to equally effected ones scribbled in old school notebooks. Many magickal practitioners have a large book of unlined paper in which they record spells they have created themselves, any particularly beautiful chants they write or speak and personal associations for different herbs, flowers and crystals. They may also record the names of those who need healing and the dates when healing was sent. Other sections describe seasonal celebrations, wisdom received during full-moon meditation and other times of power. Some practitioners will create lists of protective angels and pre-Christian deities whose qualities form a focus for different strengths and qualities. It can be incredibly useful to have to hand details of a particular incense mix created when you threw lots of ingredients into your mortar and it smelled fabulous. There may be a chant you created one morning at a sacred site high on the moorlands when the sky was blue and you had the place almost to yourself (if you don’t count the children and the dog). Even if you do buy a leather bound book, as your Book of Shadows, keep a notebook for your enroute scribbles (in a waterproof bag with a waterproof pen for days when the sky is not so blue). Keep a back-up of any charts or lists you develop on computer and a back-up CD in case you ever lose your book–for the contents are more precious even than the book itself. Make time at least weekly to update it and express your insights, while you are waiting for a candle or incense to burn through at the end of the spell. As such a time you will find that you are especially open to prophetic abilities, and the most down-to-earth among us may write beautiful chants when inspired by a particular ritual or spell. Keep your Book of Shadows safe and only share its insight with those who will respect your tradition. One day it will become a heirloom of great spiritual worth. The name “Book of Shadows” is also given to the formal handwritten reference book that is held by the High Priestess of a coven. Gerald Gardner, who founded the Gardnerian tradition, believed that the Book of Shadows, or grimoire, should be hand-copied from teacher to student, and some covens still adhere to this practice. Posted on January 24, 2014 by ladyoftheabyssPosted in Articles, Daily Posts, The Witch's ToolsTagged Book, Book of Shadows, Books of Shadows, Chant, Gardnerian Wicca, Gerald Gardner, Pentagram, Shadows, Wicca. My daughter tells me that the answers that I seek are in the Bible. Oh, if she only knew. She doesn’t know me very well. I laugh to myself. I don’t seek any answers. I am at total peace within myself. I know that the answers will be revealed to me when I am ready. The more you chase after them, the least likely you are to find them at all. True, at one point in my life I ran here and there. I was never satisfied. I was always reading and questioning everything. Surely, the great knowledge that I seek must be in a book somewhere. I was impatient and surrounded by chaotic thoughts. Caught up in the mundane world where money mattered above all else. I don’t know when it changed. A few years ago. I’m not sure why. Some inner voice was whispering, nagging me. I wouldn’t ever listen. If I listened I knew I would have to take a different road, one no one else understood. I would stand out, I would not fit in. Long ago these were important things to me. It seems like forever that I ignored that voice. That beautiful musical voice that one day would show me a path so magical that it seems an injustice that more people cannot hear. I now understand all that She had to tell me. To be quiet and listen. That all is not silent. The Universe speaks volumes to your soul. That I was born to be different; to march to a different beat and it is okay. That I have a purpose here on Earth to do Her work. To stop asking the questions and chasing answers. The answers that I seek are on the wind. They are in the raindrops and the stars shining at night. Departed ancestors who deserve to be honored whisper them to me. They are heard in my children’s laughter and felt in my cat’s soft breath. They are all around me. I had to be still to hear. They’ve always been there. When I first set foot on my path I was overwhelmed and could not learn enough. I read everything I could find, I researched terms and tried to find groups to join. I wanted to buy everything I thought I needed. I still wasn’t paying attention. Soon I learned to meditate, to open and heal my chakras, yoga. I learned and I practiced how to be still. Then I began to hear. I am now a solitary and a very happy one at that. I don’t need all those fancy tools. Our ancestors and fellow wise women did not buy their tools. They didn’t gather together in secrecy. Most were loners who loved nature and knew how to use it to make the lives of everyone better. There is no chaos within me. I do not seek answers. The Bible, which my daughter speaks of, holds no interest to me. I feel that she is the one who has been blinded by false leaders and it saddens me. Witches of old were wise women and men who knew the value of the silence. Great secrets are not written in books. They are not shared with just anybody. The witches of yesteryear listened and learned and healed. It was a mistake to forsake them, to bury them in history, to make them creatures to be feared. The true witches know the secrets and know how to keep them and who to share them with. The true witches are full of love for the world and all of the creatures in it. Witches do not need manmade laws to control their actions. We have a strong moral code within us that makes it impossible to hurt what we view as divine. My daughter made a last ditch effort to convert me. It was a mistake. It made me think deeper. It made me realize how peaceful I was compared to others. She does not see the happiness in me. I sat and thought and really understood who I had become since I took the Goddess’s hand and began to walk with her. I am happy, I am wise and I am powerful. I am beautiful and I see beauty in everything around me. I’m not so sure that her Bible will teach her any of this. Her words were filled with anger and disdain. Words that a child should never say to their mother. I had to step back and think about all that she had said. Were her words true? If so, I had made some terrible errors in my life. I talked to others who know me best, who have been with me for years. No, they didn’t understand what she was talking about or where this anger came from. It had been an attack that was unprovoked. I listened and chose to write back. Why does it matter so much which path that I follow? Is this what she learns in her church? I chose not to send the letter. It is my belief to never do anything preceded by strong emotions. This is my child; I will not use words to hurt her. My answer is silence. I say a blessing for her and her family. I shield my two younger children and myself. If anything, her mistake was to ingrain in the two younger ones the realization that Christianity may not be all that it is said to be. They asked me how her god could create such anger and pain. Didn’t her Bible teach her to love and honor her ancestors? Deep questions that I need to take the time to answer. I suppose things will be a little different this full moon. We will need to send positive energy out to my daughter and her family. We will need to talk about forgiveness. We will need to discuss anger and pain and how it can be a bad thing as well as a good thing if dealt with properly. We will need to address how to deal with it properly and learn not to become consumed by it. I’ll need to teach them what happens when these emotions take control of your mind, how it will destroy you and those around you. How you cannot hear the Goddess speak to you if your mind is full of hate and not tolerance for others and their beliefs. This morning I smile to myself. No, the answers I seek are not in the Bible. From what I can tell the answers my daughter seeks are not in the Bible either. All of this has confirmed that I am treading the right path, gently guiding the others who follow me. The Goddess has shown me how difficult life can become, even between a mother and daughter. I’m sure in time this will all heal. I know that I will forgive her, just not yet. I am human and first I must deal with the hurt. It will be interesting to see what lesson comes from this situation and who was meant to learn it. I suppose there will be something for each of us. The question is, who will listen? Posted on January 14, 2014 by ladyoftheabyssPosted in Book of SpellsTagged Anger, Bible, Book, Christianity, Goddess, Question, The Answers, Wiccan views of divinity, Witchcraft. It takes such a little whiff of memory to carry us all the way back. Small things tucked here and there remind us of some place, some thing, some person who has played a special part in our lives. We want to go forward, try new things, know new people, visit new places, yet how nice to slip on those comfortable old slippers of the familiar bygones and remember loving faces and happy times. It is said that we should never return to places that have a sacred spot in our memories. Everything changes with time, so little remains recognizable to us. We begin to think that perhaps those hallowed places were not so wonderful as we remember. But they were, for in their time and that place it was as it should have been, happy and meaningful. They may have changed, but so have we. A little of every place and every person goes with us in the building of even happier times. We have not lost anyone or anything but it is the combination of all that we have lived and learned that builds our character and teaches us the way of life. Posted on January 9, 2014 by ladyoftheabyssPosted in Articles, Daily PostsTagged Book, James Joyce, Joyce, Joyce Sequichie Hifler, Race and ethnicity in the United States Census, Shopping, Ulysses, United States. Altar: Upon cloth the color of parchment place all the books that those of the House wish blessed, plus burning sticks of recaning herbs. Offerings: Donate books to libraries or to people who need them. Daily Meal: A small light lunch of any sort, eaten not in the main kitchen but alone with a book. We hail you, Keeper of the Records of the Past! Sharing words and ale on your porch. That you love, and love to pass on. As your sacred temples, your rivers of gold. And from the worlds within others. For gems to inspire our yearning hearts. Posted on November 4, 2013 by ladyoftheabyssPosted in Articles, Daily PostsTagged Book, Brian K Vaughan, Dwarven Emperor, Fiona Staples, House, Jim Iyke, Nadia Buari, Saga, United States. At one time, most of us thought we knew it all, and later on, we wished we had kept quiet until we had learned something. Discovering the depth of one thing makes us think we have tapped a reserve of wisdom and knowledge. What we really learned was how much there is left to learn. We want to know; it is our nature. But most rebel at being taught, especially the things of the spirit. What we learn should always be carefully examined – but never with the intellect alone and always with the spirit. Life, itself, is the spirit and it should never be allowed to suffer malnutrition. Posted on October 25, 2013 by ladyoftheabyssPosted in Articles, Daily PostsTagged Book, Cherokee, Daily Feast, Games, J.R.R. Tolkien's The Lord of the Rings Vol. I, Joyce Sequichie Hifler, Northanger Abbey, Race and ethnicity in the United States Census, Religion and Spirituality.